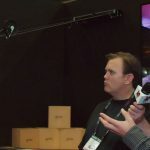 We’ve covered Syrp’s wonderful Genie and Genie Mini, but they had even more to show us at NAB 2015. Ben Ryan gave us a look at their carefully crafted ND Filter, as well as the very cool Syrp Slingshot that suspends your camera for some truly incredible timelapse. 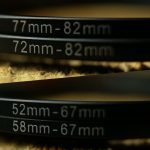 Small Variable ND Filter Kit – $139 – Includes a 67mm Variable ND filter, Genuine Leather case, a Syrp lens cloth and Adapters for 52mm & 58mm lenses. Large Variable ND Filter Kit – $189 -Includes an 82mm Variable ND filter, Genuine Leather case, a Syrp lens cloth and Adapters for 72mm & 77mm lenses. 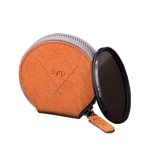 The Syrp Variable ND Filter kit is your essential DSLR film-making and photography tool. 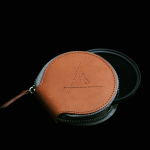 Made with high-quality Japanese glass, each kit comes with a genuine leather case, two lens adaptor rings and a lens cloth. Create a creamy bokeh effect in your films or shoot glassy lakes and waterfalls for photography and time-lapse. Syrp’s upcoming Slingshot allows you to attach each end to two fixed points (two trees, posts, etc.) and suspend your camera and Genie along two lengths of cord. Then the Genie (or Genie Mini) will guide the rig across the cord, providing super smooth timelapse from mid-air. 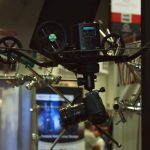 The Slingshot we saw at NAB was just a prototype, but Ben informed us that it would only be a couple of months until release. So be sure to stay tuned to HDSLR Shooter on more info as it becomes available.